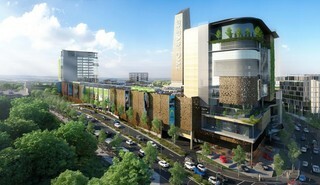 Sign-up and receive Property Email Alerts of Commercial New Developments in Gigiri, Nairobi. Away from the congested CBD, Upper Hill and Westlands areas, Two Rivers Office Towers are strategically located and accessible from Limuru Road and the Northern Bypass. Each Office Tower is surrounded by scenic views overlooked by terraces. Two access points serve the Two Rivers Development. On one side is Limuru Road and on the other, the Northern Bypass. The site is less than 2km from the United Nations Complex, 14km from the CBD, 29km from the Jomo Kenyatta International Airport via Mombasa Road and 49km via the Northern Bypass. The first of its kind in Kenya, the Office Towers rest on top of the Mall of Kenya and total to approximately 21,000sqm on 8 storeys. 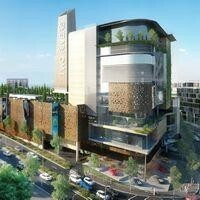 The Office Towers are set to be the office destination of choice. The Towers feature state of the art building finishes, easy accessibility and convenient building amenities. The whole Two Rivers development provides East Africa’s largest Retail Centre, 3 and 5 star hotels, residential apartments and offices. The Two Rivers Development is part of an urban design and management scheme. This is the place to be to work, play, eat and live. Through it’s urban planning and property management initiatives, the Two Rivers development will create and sustain an attractive, safe, secure and well managed environment with high levels of urban amenities, sustainable infrastructure and service delivery excellence. Security around the development a priority; perimeter wide intrusion detection systems, video analytic surveillance, enhanced vehicle/persons screening systems, physical barriers and access control systems.